Every year fall rounds the bend, bringing with it my seasonal inclination to have soup for dinner, eat things with pumpkin flavor and top everything with a dash of cinnamon. So it was no surprise when the rain came last week, that I began shuffling through all my favorite autumn recipes. All I knew was that I had to make something that would remind me of raked leaves, turtlenecks and nights spent with a mug of steaming tea. 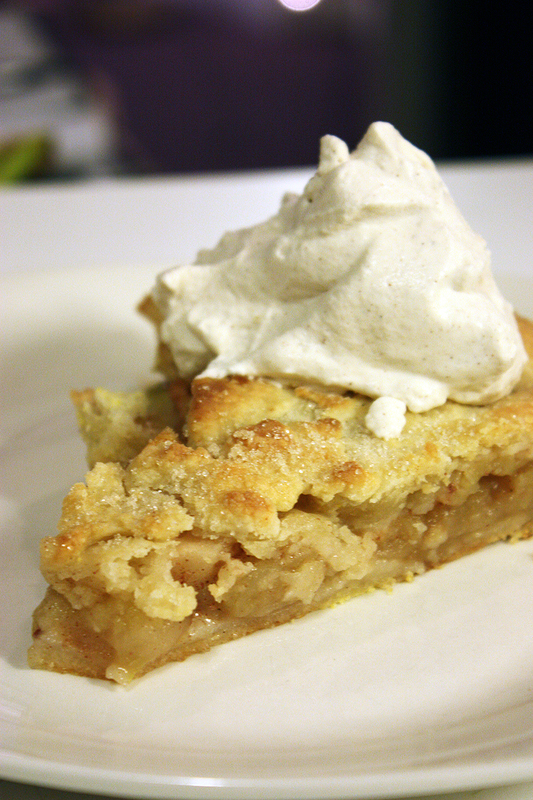 The result of my search was a childhood favorite: a simple, rustic style apple tart with cinnamon whipped cream. The perfect thing to put a good spin on the cold weather. For this recipe, you need to have a couple of hours on your hands, but it is completely worth the time and effort. Whether it is for your weekly club meeting, a friend’s birthday or simply because you are craving something sweet, this desert never fails to satisfy. 1. Start with a large mixing bowl. Put all the ingredients for the pie dough in the bowl and mix with hands, breaking up the butter pieces with fingers. It is important that this be done quickly so the butter does not melt. Feel free to add more flour if the dough is too sticky or a splash of ice water if the dough is too dry. Once done, wrap in several layers of saran wrap and place in the freezer for 45 minutes. 2. While the dough is chilling, begin the filling by peeling and slicing the apples into pieces. 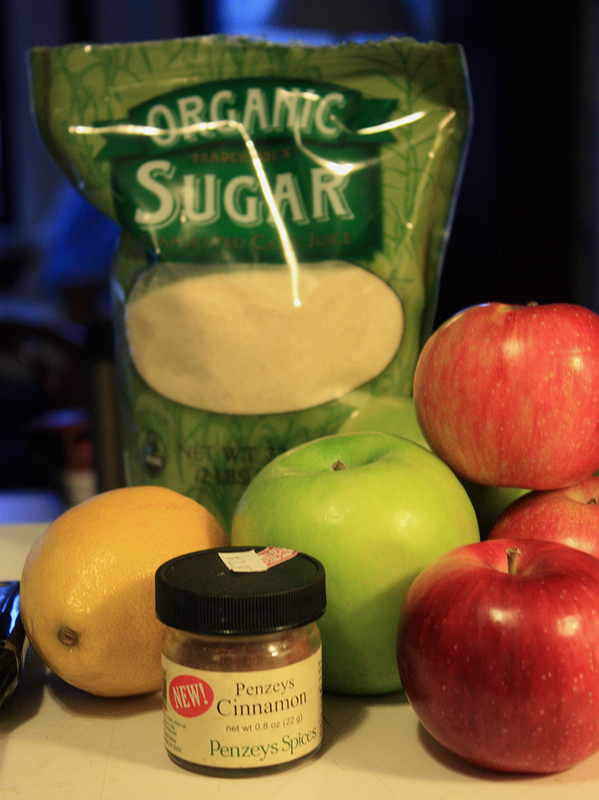 Mix in the sugar, cinnamon and lemon juice until all the apple pieces are covered thoroughly. 3. Pre-heat the oven to 400 degrees. 4. 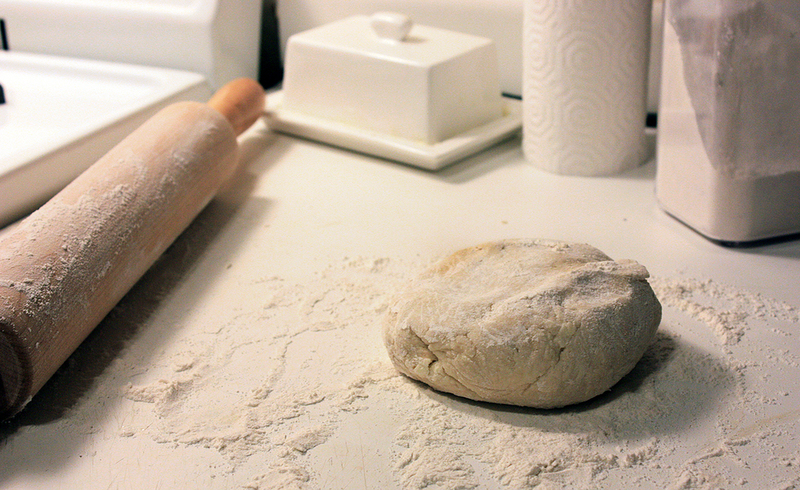 Once the dough is chilled, cover a clean, flat surface with flour. Roll out the dough to a round large enough to fit all of the apple pieces with room to fold over the sides, it should be about a ¼ of an inch think. Move the dough to rimmed baking sheet and pour the apple filling into the middle. Tip (thanks to my mom): to make the bottom crispy, you can sprinkle corn meal or polenta on the pan before putting the dough down. This will leave you with a perfectly baked crust: yes, this is worth it. 6. Next fold the edges of the dough up to cover the apples, overlapping as needed. This should create a border of crust around the apple about 2 inches wide. Tip (again, thanks to my mom): before folding over the dough, place a few pats of butter randomly on top of the filling. The butter will bake into the tart and add extra flavor. 7. Bake the tart for about 40 minutes. With 10 minutes remaining in bake time, pull out the tray and brush the tart with egg whites lightly sprinkle with granulated sugar. Serve warm with whipped cream or vanilla bean ice cream if desired. Combine the heavy cream, sugar, vanilla and cinnamon in a chilled bowl. Beat with an electric mixer or whip by hand with a wire whip until medium soft peaks form.